So I was in Union Market the other day and saw some lobster mushrooms for sale. These odd looking fungi are mottled orange and very firm, and smell strongly of seafood. I picked some up, as I am wont to do with items I’ve never used before. I sent out a call for help on twitter, asking what i should do with the mushrooms, but did not receive a single reply. It’s okay though, I decided I would try to make lobster rolls with them, and realized it would be fairly easy to make them vegan. So here’s what I did. I sliced the mushrooms into thin strips, and browned them in some olive oil with some salt. As they were browning I mixed some Vegenaise (a vegan mayo alternative) with some fresh lemon juice and some chopped scallion greens. I removed the browned mushrooms directly into the “mayo” and mixed thoroughly. Lobster rolls are traditionally served on split-top hot dog buns, but those usually contain dairy. Instead I bought a loaf of simple yeast bread and created my own split-top roll. 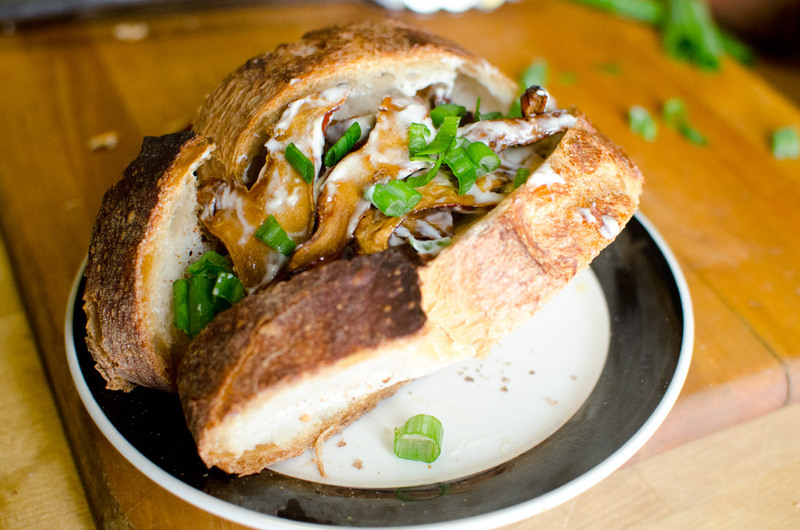 I loaded the mushrooms into the split and garnished with some more chopped scallions. 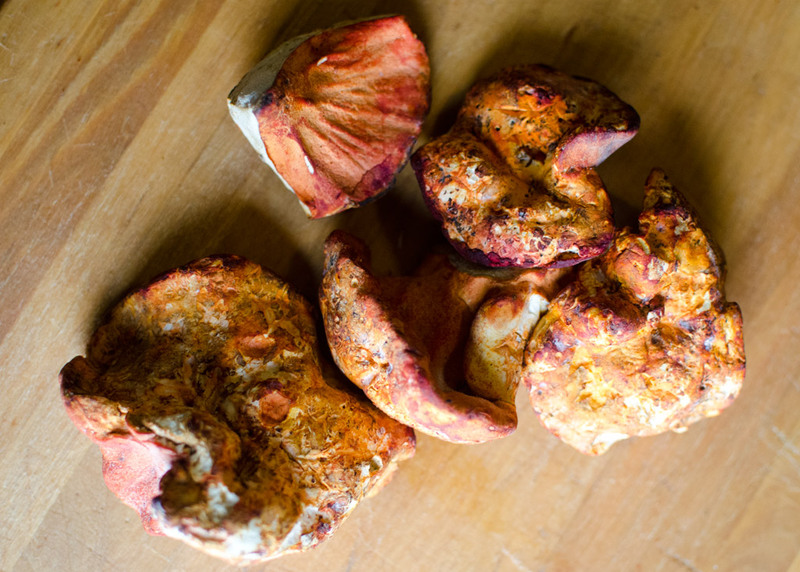 The aroma of the lobster mushrooms made me fear that they would have a strong seafood flavor, but they actually had a great, earthy mushrooms flavor. I also made a vegetarian version, in which I browned the mushrooms in butter, but I actually preferred the vegan version.